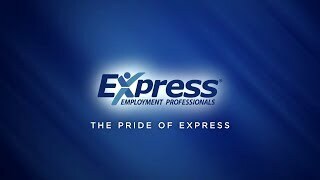 Express Employment Professionals is an international staffing and human resources company with over 800 franchises around the world. Each franchise is locally owned and operated by caring and dedicated staff, eager to guide people and businesses alike through the challenges they face in the job market. Stacey, owner of the Madison, Wisconsin location, celebrates her 10 th anniversary of ownership this year. For her and her staff, connecting Madison businesses (large or small) with hard-working, reliable talent is a worthwhile goal and an absolute pleasure. Creating meaningful relationships with both local companies and residents is at the center of their process. Finding creative solutions to tackle complex human resources issues is a daily accomplishment and showcases the knowledge and expertise housed within Express-Madison. Contact us today and help us put a million people to work. How long have you been with Express? "Since August of 2018." What motivates you to help others find employment? " When you have someone sitting in front of you and they feel like they have run out of options, we are the light at the end of the tunnel. There is no greater feeling than helping someone find their self-worth again. This job is more than finding someone work; people can do that on their own. It's about finding someone the position that will take them to the next level, grow their confidence, and bring out that inner superstar!" What qualities do you search for in job seekers? "When I meet an applicant, I am looking for drive. What it is that motivates the candidate. Everyone wants that shinny penny, but I look for the one that has put in the hard work and wants to continue to grow. Not necessarily up a metaphorical corporate ladder, but wants to grow as a person. What better way to grow than with a position that is challenging and something of interest to the candidate." Do you have a motto/mantra you live and work by? "Albert Einstein said it best, "A person who never made a mistake never tried anything new." "
What is your favorite thing about the Madison area? "Madison is booming with life and culture. There is so much to take in when you walk downtown. The best time is in the fall when the trees turn color. The back drop to the city is just breath taking." How long have you been with Express? "Since March of 2014." What motivates you to help others find employment? "I enjoy the opportunity to connect with so many people from different walks of life in the community. Being able to be of service to them and put a smile on their face makes my work satisfying." What qualities do you search for in job seekers? "A positive attitude, dependability, and a desire to learn will get you far!" What is your favorite thing about the Madison area? "It is a progressive, diverse and cultural city that is home to many talented individuals. And the food is out of this world." How long have you been with Express? "Since March of 2015." What motivates you to help others find employment? "It's the sense of knowing that you helped someone when things didn't look good for them at the moment." What qualities do you search for in job seekers? "There isn't just one thing you look for when searching for an applicant. It depends on the position I'm searching for, but one thing that needs to stand out is a sense of dependability." Do you have a motto/mantra you live and work by? "I say yes to meeting new people and pursuing new experiences. Life is an epic adventure and I'm a brave adventurer." What is your favorite thing about the Madison area? "When I moved from California to Madison, I noticed something I hadn't seen in a very long time; people taking the time to say, "Hello," "How is your day going?" and "Thank you.""